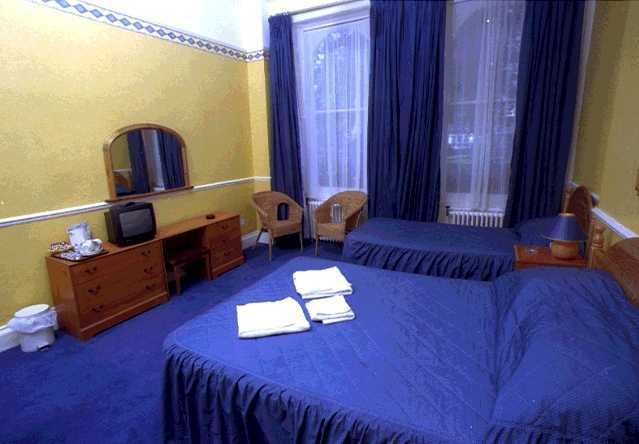 Perfect location for a stay in London - quiet but within easy walking distance of the British Museum and the West End, ideal for theatres, clubs and shopping. 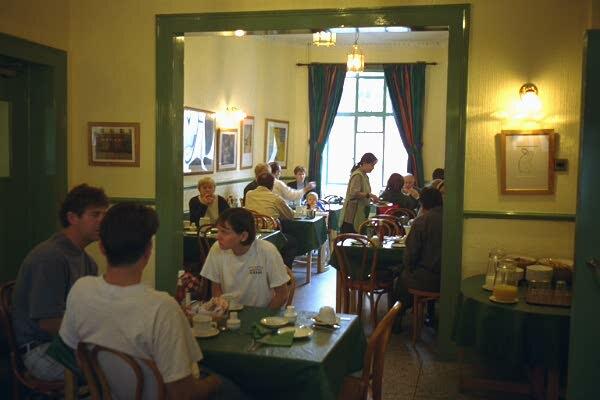 All bedrooms have freeview digital T. V., tea & coffee making facilities, safety box, etc., and prices include a full English breakfast and tax. Computer with free internet access in guest lounge. 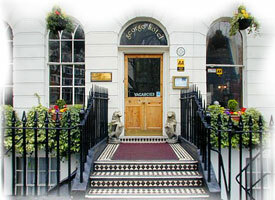 Member of the English and London Tourist Boards, 3-Star classification. Single bedded-room (toilet and shower in the corridor). Room has standard size single bed, wash basin, freeview digital television, direct-dial telephone, safety box, clock radio, tea and coffee making facilities. 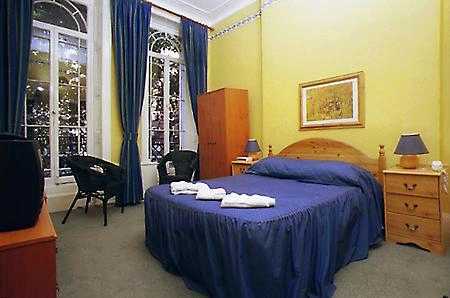 Double bedded-room with private shower and toilet. Room has standard size double bed, freeview digital television, direct-dial telephone, safety box, clock radio, tea and coffee making facilities. Triple bedded-room with private shower and toilet. Room has standard size double and single bed, freeview digital television, direct-dial telephone, safety box, clock radio, tea and coffee making facilities. 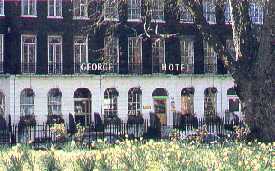 Set in an eighteenth-century crescent with its own shared gardens and tennis courts, the George Hotel has easy access to most of London's main attractions, theatres and clubs. A few minutes walk to the British Museum, Oxford Street, famous for its shopping, and the theatre district near Soho. 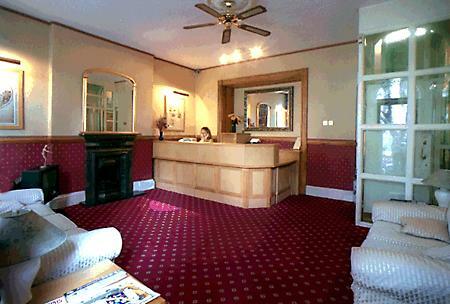 The hotel is situated right in the heart of London, and close to excellent transport links to mainline stations and easy direct links to Londons airports. Deposit required to reserve room. In the event of a no-show or late cancellation your credit card will be charged for the cost of the first night. Cancellation policy of 7 days. If arriving by car: we are located in congeston zone! We have a special deal with one of the car parks near by. Please contact receptkon for more details.